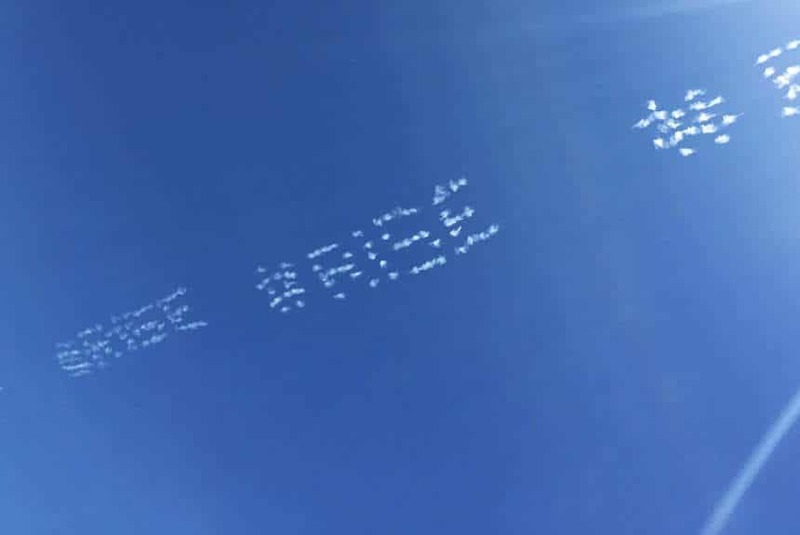 It doesn’t get more impressive than your company’s name or logo written across the sky. That’s why Skywriting is so effective. From back down on the ground, anyone within a huge radius will find it impossible to miss. Skywriting is an aviation technique created by vaporizing specially treated and environmentally approved oil in the plane’s exhaust system to form letters in the sky. 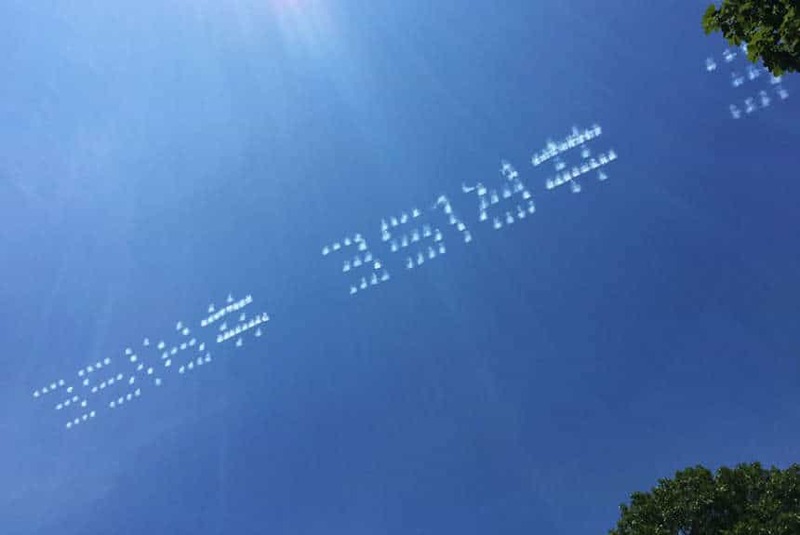 There are two different types of writing in the sky – Traditional and Digital Skywriting (Skytyping). Traditional is executed with one aircraft performing aerobatic maneuvers while releasing white peanut oil eco-friendly smoke to create five to six characters in hand-written style or a logo. Skytyping is executed with multiple aircraft flying in formation while releasing the oil, but in a dot matrix style. Your message is loaded into the computer and signals trigger the smoke to be released. Every five seconds, new letters or logos are finished. This method allows for up to 25 characters to be written in a typewritten style across the sky and lasts longer than traditional Skywriting. In the right weather conditions, both Traditional skywriting and Skytyping are visible for up to an hour. If it’s windy the messaging will fade much faster, but both methods are effective at keeping all eyes on the skies. 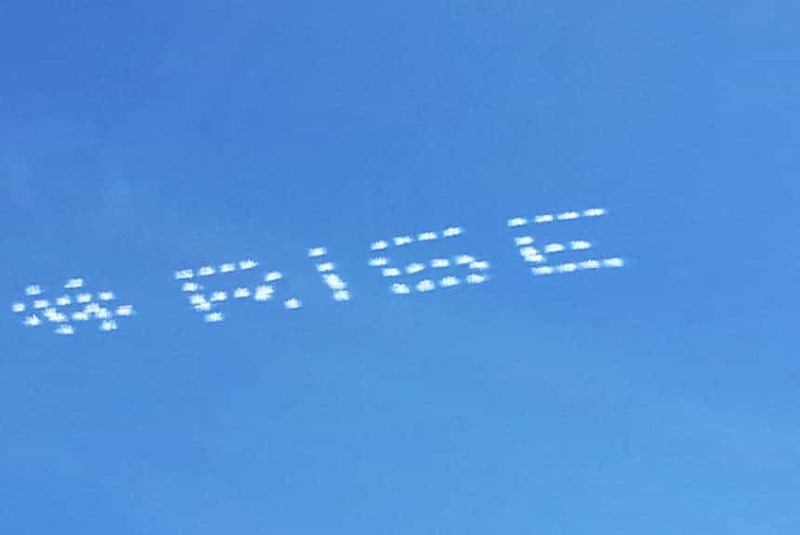 Writing an advertising message in the sky is often created to appear over populated areas at certain times to achieve the most reach. Concerts, events, racetracks and beaches for example, are all places that would enjoy relevant messaging with some added ‘wow’ factor thrown in. The airplanes form the words at heights of 10,000 ft. (3048m) above ground. At this altitude the skywriting can be seen 30km (19 miles) to 122km (76 miles) in any direction, with each letter measuring around 500 ft. high. 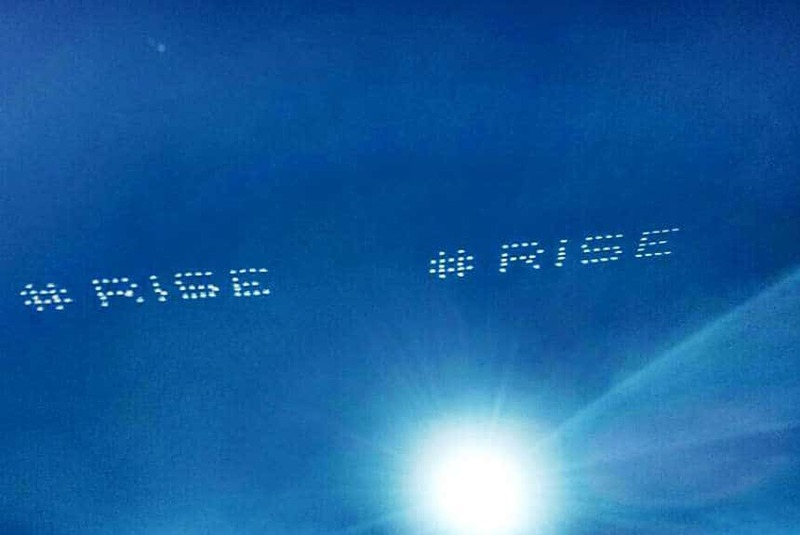 On a clear day your entire message can highlight the sky for up to 20 minutes. Is it any wonder digital and dot matrix skywriting is unmissable? 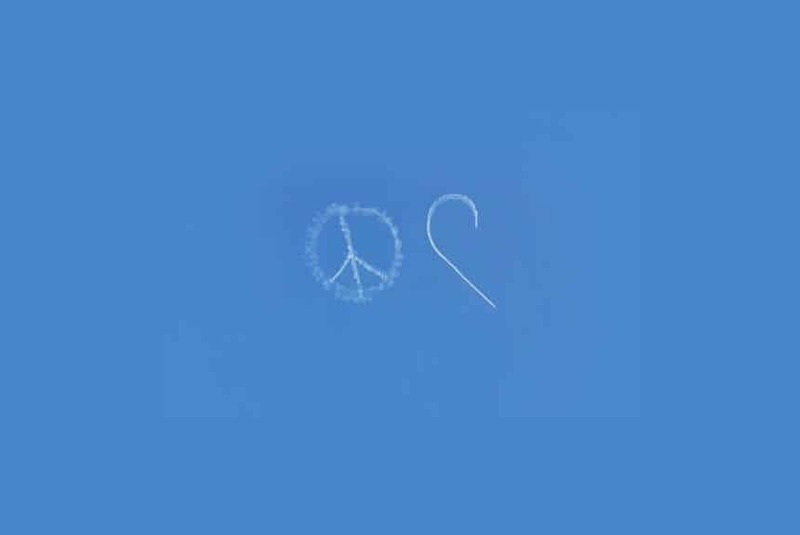 See your results soar with Traditional or Digital Skywriting (Skytyping).